Summer in Torbay is always full on but, wow, THHN has had a busy couple of months! 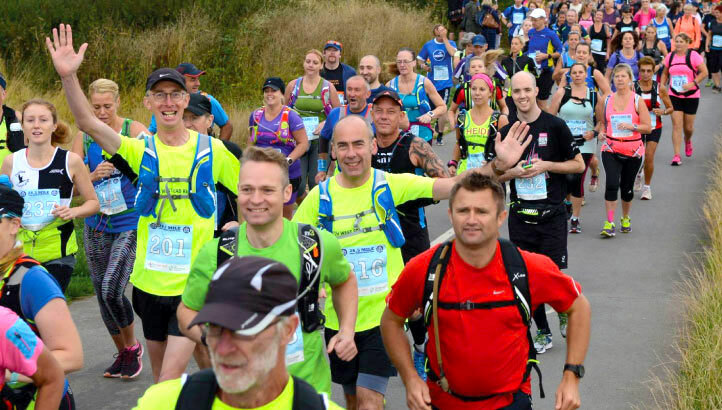 From the large number of lovely families we’ve welcomed on special memory-making holidays, to fundraising events like Celebrating Devon Film Day, the Civic Garden Party and, of course, our very own City to Sea Marathon and Ultramarathon, it’s fair to say it’s been a whirlwind! And we’ve also been planning some fantastic new fundraising events for the next few months with the aim of raising even more money to finance breaks for families living with serious illness and bereavement. Please check our At-A-Glance Diary for more details. 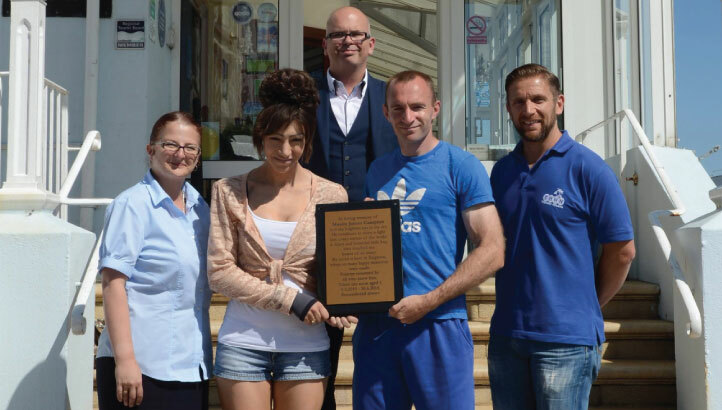 Grieving parents Andrew Campion and Carol Newton from Bishop Auckland in County Durham have laid a plaque at the Marine Hotel, Paignton in memory of their six-year-old son Mason who enjoyed three THHN holidays in Torbay before succumbing to an inoperable brain tumour in June. The news of Mason’s death has touched us deeply at THHN, who remember what a delightful boy he was. But to know that THHN was able to help both him and his family enjoy some time together in spite of the gravity of his illness is hugely gratifying. This year’s THHN City to Sea Marathon and Ultramarathon which was held on 3 September was dedicated to the memory of little Mason Campion, and his parents Andrew and Carol started the race. In spite of poor weather, the event itself and THHN’s Festival of Fun held at the finish line on Babbacombe Downs were a triumph. Jonathon Dolman retained his crown in the 55-mile ultra and Roy Brown won the marathon. In both races a woman took second place – Annika Longthorpe in the ultra and Elizabeth Dyson in the marathon. Amazingly well done to all those who took part, whether running or walking. So far we have raised over £20,000 with money still coming in. A huge vote of thanks to our sponsors – Hanburys Famous Fish & Chips, The Cotswold Group, Westcountry Fruit Sales, Tesco (Babbacombe, Newton Abbot and Kingsbridge stores), Our Glass Cockington, GB Medal Display Boards, Riviera Insurance Services Ltd, Francis Clark, With a Difference Entertainments, The Breeze Devon and Babbacombe Garage – and everyone who worked so hard to make it happen. This is the key event in THHN’s calendar and we couldn’t do it without you. Roll on City and Sea 2017! THHN founder Luke Tillen officially opened the new offices of John Lake Estate Agents in St Marychurch, just days after a four-strong team from the firm had successfully completed the City to Sea Marathon. THHN really appreciates their fantastic support. Personal trainer James Doolan has more than proved the old adage, no pain no gain by raising an amazing £350 for THHN through his 100 for 10 challenge. Over ten days he urged his supporters to vote for the exercise they’d like him to do that day – and then performed 100 repetitions. At the same time, he asked people to sponsor him on a JustGiving page. Great work and big thanks, James! On 21 August Team THHN runners flew the colours at the Torbay Royal Regatta 10k. A huge thank you to them. Interested in what they do and in running yourself? THHN has its own runners’ forum on Facebook. And did you know that if you raise funds for THHN, in a running event, you can claim a free THHN running vest or t-shirt? So to any runners out there, we’d love to welcome you to our team! We have charity places on the Cockington Caper and the Torbay Half Marathon. In fact, they’ve been and come back! Dudley Rae, who is visually impaired after suffering two brain tumours, set up the organisation Viking Warriors with the aim of raising money for charity. He set himself the challenge of navigating a car across Europe from Torquay to Prague and back to raise money for THHN and another charity. Here’s his reaction on getting home: “WOW WOW Not sure quite how!! But I have!! I’ve managed to navigate Josh (friend/driver) through 12 countries over seven days totalling a staggering 3,283.6 miles being registered blind.” We’re in totally awe of you, Dudley! Big kudos to Gareth Thomas who tackled a 100km walk to raise money for THHN. Unfortunately, he had to pull out when he slipped and twisted his knee, but he still managed to raise more than £500 for the charity. That is a fantastic achievement, so thank you Gareth and hope the knee’s better! Our very own fundraising manager Brian Lewis took Fundraiser of the Year Award in The Breeze Local Hero Awards. We are delighted that his hard work and dedication have been recognised. Well done, Brian – we are so proud of you! A massive Thank You to Chiltern Firehouse, Babbacombe Garage, Shearings, Great Western Railway, The Buccaneer Inn and the other businesses that donated a prize. It’s been an extremely busy time for memory-making hoildays, with THHN welcoming a dozen families to Torbay in August alone. They stayed at THHN’s Memory Maker Caravan at Finlake Holiday Park, Chudleigh; The Cliffs Babbacombe; Hotel De La Mer, Babbacombe; Glendower B&B; Hannah’s at Seale Hayne, Newton Abbot; Brunel Manor; the Marine Hotel, Paignton.